The following article appeared in the Manchester Evening News of 5th March. The outrageous attack on freedom of political and artistic expression it reports only underlines the similarity between today’s increasingly overtly anti-democratic and thuggish Zionist movement, and fascism. These thugs engage in these attacks on the democratic liberties of those who wish to hear Gilad Atzmon’s music and listen to what he has to say politically, because they want the right for their state to massacre Arabs without being exposed to serious criticism. It is perfectly obvious what they object to in both Atzmon’s music and his views, and it is not the fatuous accusations of ‘racism’ (against his own family and people of origin!) but rather eloquent support for the Palestinian struggle and his works that aim to deconstruct chauvinist manifestations of Jewish identity politics, most notably in the thought provoking work The Wandering Who. As well as his remarkable music that often evokes the Palestinian struggle, such as the recent ‘Gaza mon amour‘ which highlights the barbarity of Israel’s repeated scourging of that territory and its people, evoking the film Hiroshima mon amour and the criminality of an even greater massacre by the West against a civilian population. Then there is his earlier piece Jenin. referring to the 2002 massacre of Palestinians using bulldozers at the Jenin refugee camp by Ariel Sharon’s government as part of the so-called Defensive Shield operation, a precursor of later massacres of Palestinian victims of Israeli ethnic cleansing such as Cast Lead (2009) and last years even bloodier Protective Edge massacre. There is an accelerating trend of anti-democratic behaviour from supporters of Israel, and a failure of the left to seriously criticise or stand up to them. George Galloway, the Respect MP for Bradford West, who has been elected to parliament six times, was brutally attacked by a Zionist thug last August for his outspoken support for Palestinians against Israeli terror. Not only was there no condemnation of this from any other MP bar the single Green; there was precious little from the organised left either. On Question Time in February, Jewish racists were able to taunt Galloway about this politically motivated and violent physical attack, and in this they were tacitly encouraged by the BBC’s compere, as well as various bourgeois politicians and journalists present. This produced a bit more of a murmur of condemnation and some hint of solidarity from the some of the left, but it was pretty shallow. Most of today’s left, even most of the ‘revolutionaries’, are characterised by rank political cowardice in the face of violent Zionist racism and extremism. They fear above all being smeared as ‘anti-semitic’ by an unscrupulous and powerful bourgeois lie machine. And in fact they fall over themselves to smear more militant opponents of Zionist racism as the ‘real’ anti-semities, in the hope that they will be spared from being witchhunted. But unless they give up all pretence and semblance of opposition to the neocon wars, they will never escape the enemies list. They delude themselves. This is not at this point the same as 1933. But salami tactics – slicing away a bit of freedom here, a bit there, so that eventually it adds up to a whole lot, have similarities in virtually any context. That is the strategy of the Jewish-Zionist bourgeoisie in dealing with growing popular support for the Palestinians in Western countries, and revulsion against Israeli crimes. They hope to suppress criticism by means of Goebells’ big lie techniques. 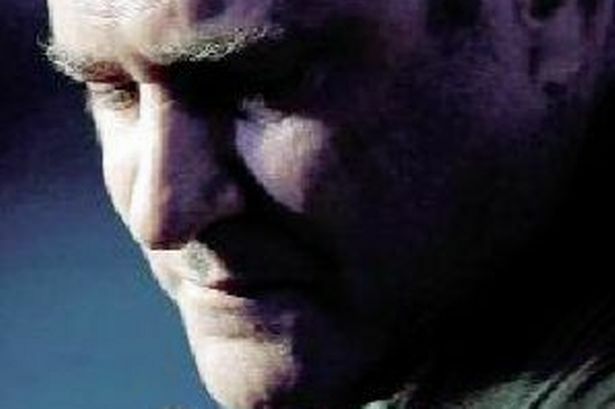 Hands off Gilad Atzmon’s musical events and political expression. Defend free speech and artistic expression from Zionist racism and totalitarianism. A furious row has erupted after a prestigious music college cancelled the concert of a controversial jazz musician. Gilad Atzmon, 51, was previously a member of 70s star Ian Dury’s band the Blockheads. He was due to perform at the Royal Northern College of Music (RNCM)tonight. However the Oxford Road venue have now pulled the show after complaints about Israeli-born Mr Atzmon’s previously-expressed views about Jewish identity. Atzmon, also a political activist and author, was born in Israel but has written several books which are critical of Jewish ‘identity politics’ and he has been accused of making anti-semitic comments. A petition was launched on Monday against his concert in Manchester by the North West Friends of Israel (NWFOI) calling for the show by Atzmon and his band the Orient House Ensemble, to be scrapped. But Mr Atzmon, who denies anti-semitism, has criticised the decision to pull the gig and has threatened legal action. Atzmon claimed the move was an example of “Zionist violence making it to Britain” and said he was considering legal action. “Given that I’m now a pretty big boy, this would be somewhat amusing except that the terrible implication is that Zionist’s violence has now made it to Britain. “They (NWFOI) suggested that my concerts were “fostering anti Semitism” which is obviously a complete lie in fact not once has anyone logged a complaint about my concerts or my talks. “The Orient House Ensemble has always included Jewish musicians and, if this is were not enough, many of our promoters and supporters are Jewish. A petition calling for the college to reverse their decision has so far attracted 1,952 signatures. 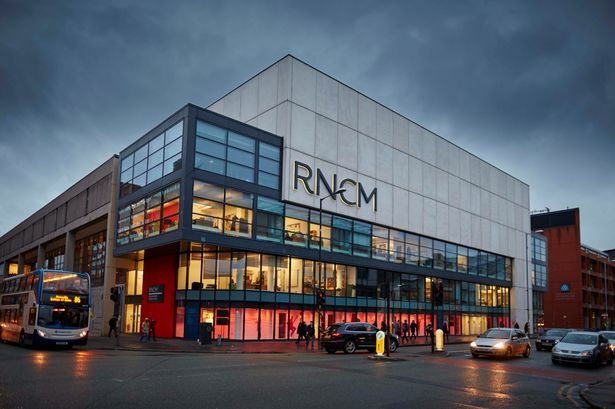 In a statement the RNCM said: “Over the past few days the RNCM has received a significant amount of negative correspondence relating to the booking of Gilad Atzmon and the Orient House Ensemble on Thursday 5 March. “After careful consideration, and to ensure the safety of all involved, the RNCM decided to withdraw the concert. “This decision was taken and actioned prior to the launch of an associated petition and in no way reflects any political view of the College.